Microsoft has announced that on December 15th, Games on Demand comes to Games for Windows Live, which is a very fancy way of saying it's going to start digitally distributing PC games. It's really the next natural step in Games for Windows Live development. The Xbox 360 Games on Demand program has been doing well enough, and services like Stardock's Impulse and Steam have already proven the viability of the digital download store model, so now we're getting Games on Demand for Games for Windows Live. "With Games on Demand, we didn't just want to create a cut-and-paste version of existing digital distribution services," said Mike Ybarra, general manager of LIVE Engagement Services. "We challenged ourselves to deliver an integrated platform that takes full advantage of the unique capabilities offered by the LIVE service. Our goal has always been to create a seamless online gaming experience for the Windows community, and Games on Demand is a great step toward that end." From the initial announcement, the main difference between Games on Demand and something like Steam is the use of Microsoft points to purchase games along with actual cash money, but it's certainly a start. If they can keep prices competitive, they could be on to something. Speaking of starts, the service's launch lineup will include Resident Evil 5, Red Faction: Guerrilla, and Battlestations: Pacific, along with Live-enabled versions of popular downloadable titles like World of Goo and Osmos. If those aren't enticing enough, there's also a free Live-enabled version of Tinker, the Windows Vista Ultimate Extra exclusive for those willing to download the Games for Windows Live client when the service goes live on the 15th. 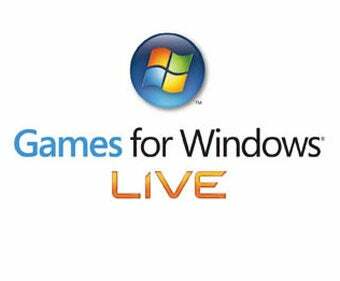 You can download the Games for Windows Live client at Microsoft's official website.